When I think about spring, I think birds, gardening, and bugs. I have gathered up some great STEM activities based on these themes to help get your homeschooling blooming! Outside the birds are tweeting and my children have already started seeing evidence of their new nests in the trees! -One of the easiest ways to include some science into your day is to start observing your local birds! Start a bird notebook and document your observations. Use sites like The Cornell Lab of Ornithology to help you identify your local birds and give you further birdwatching ideas! -Add some technology into your bird watching with a bird feeder camera! Get up close and personal without scaring the birds away. Best of all, you will have pictures to help you identify your feathered friends too! -Work on engineering skills and see if you can make a bird’s nest that will hold weight. -Challenge the kids to make a birdhouse or bird feeder. 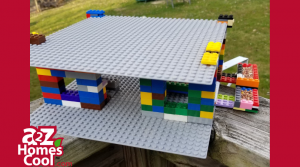 Use materials from around the house or make it a LEGO challenge! This was a huge hit in our house. -Compete with the kids to make the tallest egg tower. -Walk on eggs! Seriously, you can actually walk on eggs! This amazed my kids. –Experiment with eggs. 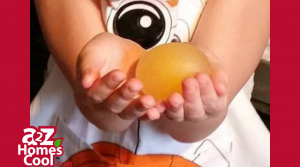 Learn how to take the shell off a raw egg without breaking it and then explore other fun science with your naked egg. If your children enjoy these ideas try more bird unit ideas to keep the learning going! After all the cold weather, we love to get out and enjoy watching everything grow. It is great to be able to explore nature with fun activities while we bask in the sun! 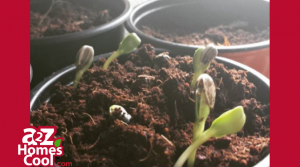 -Discover which soil helps seeds grow the best with this sprouting experiment and get your garden started! -Get the older kids interesting in math in nature with the golden ratio. How many places can you spot this in your yard? -Explore how plants breathe! Try different types of plants and see if there are any differences. -Spread the beauty of flowers with seed bombs! Use construction paper or recycle your old school work! Just make sure that you don’t need them for portfolios first. Don’t let their curiosity wilt! Grow more interest with some other garden projects! There is just something about insects and children. I know that if we are having a bad day, I can always send my kids on a bug hunt to turn it around. -Encourage the insects to come to visit! Make an insect hotel, document what bugs check in, and then identify them! -Raise your own insects! We love watching a new type each year. 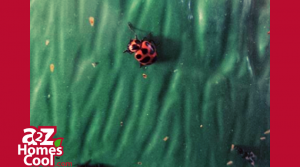 Pick and observe the lifecycle of ladybugs, butterflies, or even praying mantises. -If getting too close to that many legs isn’t for you then try to make your own circuit bug. -Take the bug fun to math! Print this catch-a-bug game and adapt it to your homeschoolers level. Use the color die for preschoolers, use regular dice and change the game for older children. Add the die and place that many bugs in the jar or multiply to make it harder. Get creative and brainstorm ways you can expand it further! -Work on some science insect words with some online learning games. Try some more insect resources if your kids are crawling for more! Bonus! Turn STEM into STEAM with these Spring Art Ideas. -Make beautiful bird art by recycling leftover newspaper or other papers you have around the house. -Create paint brushes some plants in your yard then paint with chlorophyll or try flower printing! -Discover the mixing of colors a different way while making chromatography butterflies. Want more Spring ideas? Check out our Spring Pinterest Board for even more fun. Share your fun STEM and STEAM ideas with us in the comments section or find us on one of our social channels!